In this case, my estimate of the expected time to completion was fairly close to the actual time. 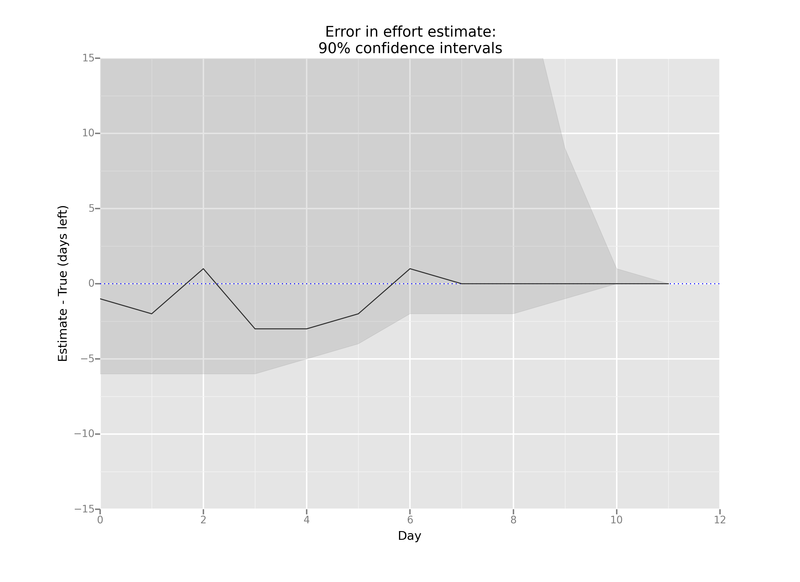 The upper end of the 90% confidence interval is extremely high, largely because there was some work that I considered optional to complete the feature that decided to put off to some future data. 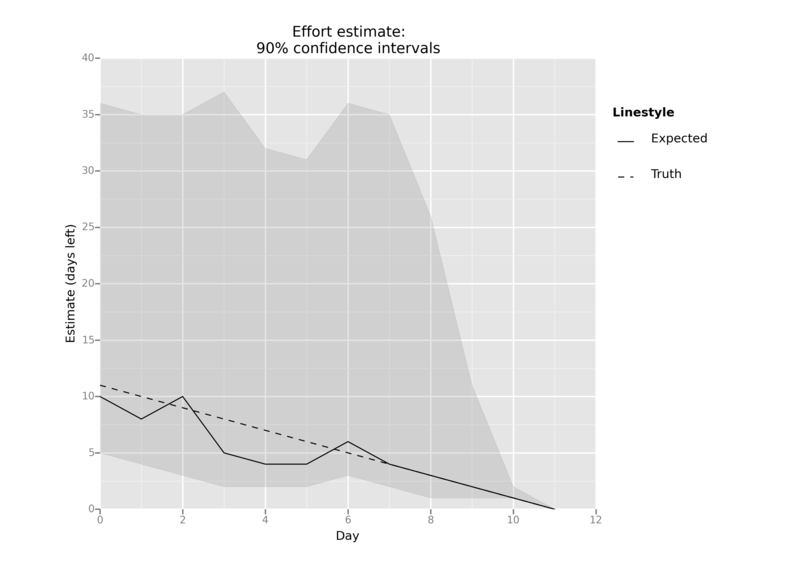 It takes a non-trivial amount of mental efforts to do these estimates each day. I may stop doing these soon.